Where Did All My Patients Go? You see it all the time: a patient comes in for an initial consultation never to return. Or a child comes in for orthodontic treatment, and isn’t quite ready to convert to a new start. Or an existing patient asks about having that big cosmetic procedure and never accepts treatment. Where do those patients go? More importantly, how do you get them back? 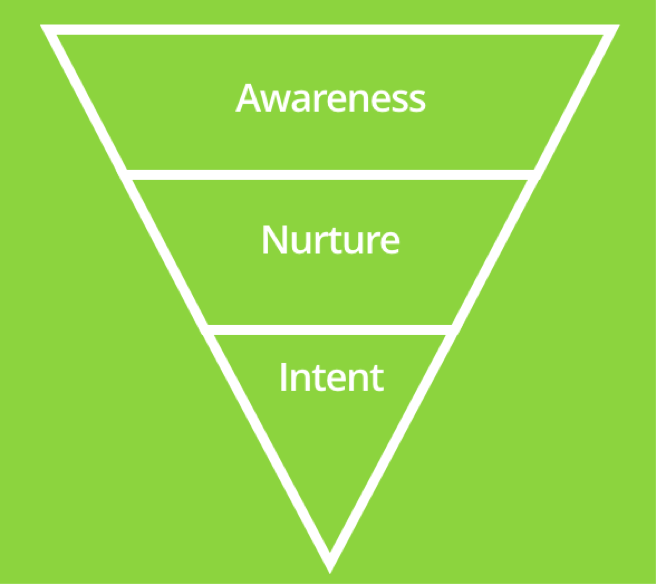 In marketing, we often talk about the funnel that leads patients into your practice. At the top are those patients who are just becoming aware of the practice. At the bottom are those that are intentional about finding a dentist or orthodontist now due to an immediate need or desire. So where do those patients who have lapsed or not accepted treatment go? They are hanging out in the middle of the funnel. Sure, they are not moving into the dental chair. But it’s important to note that they are also not moving out of the practice. A high percentage of them are likely strongly considering moving forward with you, they just haven’t yet taken action. With some nurturing, they will indeed convert to new patients, new starts or that next big case. It’s like a goldmine: you can increase your production fairly quickly by working this part of the funnel. At least once per month, reach out to the potential patient and address any challenges or fears he or she may be facing before accepting treatment. The model is similar for orthodontic families that are not quite ready to move forward. In the time between the initial visit and starting treatment, stay in touch in meaningful, helpful ways to help put their minds at ease and make it a no-brainer for them to select you when the time comes. Nurturing is all about building the relationship. The patient is far more likely to eventually become loyal to your practice when they like and trust you. Warm phone calls. This goes beyond asking, “Do you have any questions?” Again, start by building the relationship: ask about family, travels and work. Catch up about life. As the conversation takes its natural course, interject a few open-ended questions. “I recall you asked about improving your smile last time you were here. I’m curious, what concerns you the most about moving forward with treatment?” You might even coax answers, throwing out payment plan or recovery time as possible topics of conversation. As the patient answers, speak directly to how you and your practice can ease those challenges and fears. Email campaigns. Content marketing is the distribution of educational articles via email. These articles are meant to nurture potential patients into the practice. Great content builds trust and likability and also helps patients overcome any fears, challenges and obstacles they may have before they part ways with their money or make the big appointment with you. It helps answer all of the “burning questions” that keep the patient awake at night. Retargeting campaigns. Online retargeting ads are highly effective in nurturing patients who have visited your practice website and may not have made an appointment yet. This method uses web tracking to determine the interests and online activities of the patients who visit your website. This tracking allows your practice ad to “follow” them to other websites and continue to expose them to your brand. It’s a great way to stay top-of-mind so that when they are ready, they think of you first. Social media posts. Be sure to encourage or incentivize every patient to like your practice’s Facebook page. Social media is like a practice open house happening 24/7. As practice posts show up in potential or lapsed patients’ newsfeeds, they are reminded that you are there for them, that they relate to you and like you, and that your practice is the right place for them. Chair-side conversation. If ever you have the patient in the chair, connect and build a relationship with him or her. Ask what’s been on their mind about starting treatment. You would be amazed at the sheer number of patients who are seriously considering your practice or services, and simply need a little nurturing to take the next step. Start mining for gold!